Sat. May 11th - Grand Opening of Our First Field at Frank Golden Park - A Full Day of Fun Events! 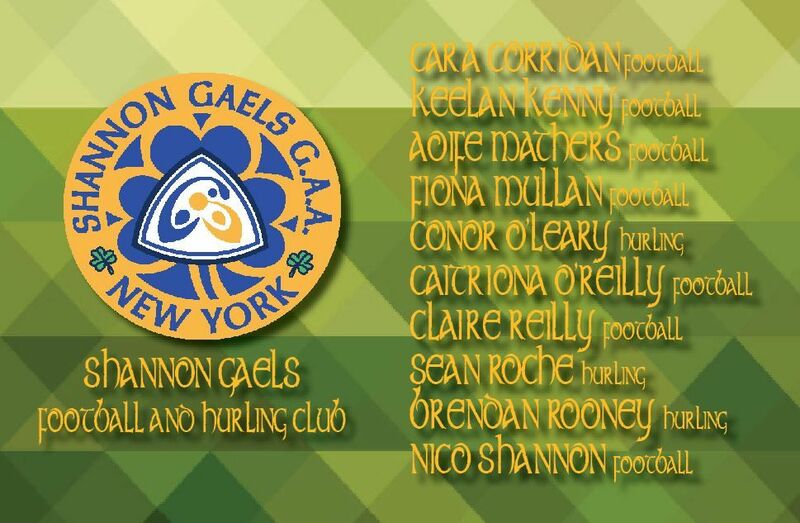 Congratulations to Our Shannon Gaels Boys and Girls that were selected for the 2019 Feile New York Football or Hurling Team to Travel to Ireland this summer. Bring home the Cups! 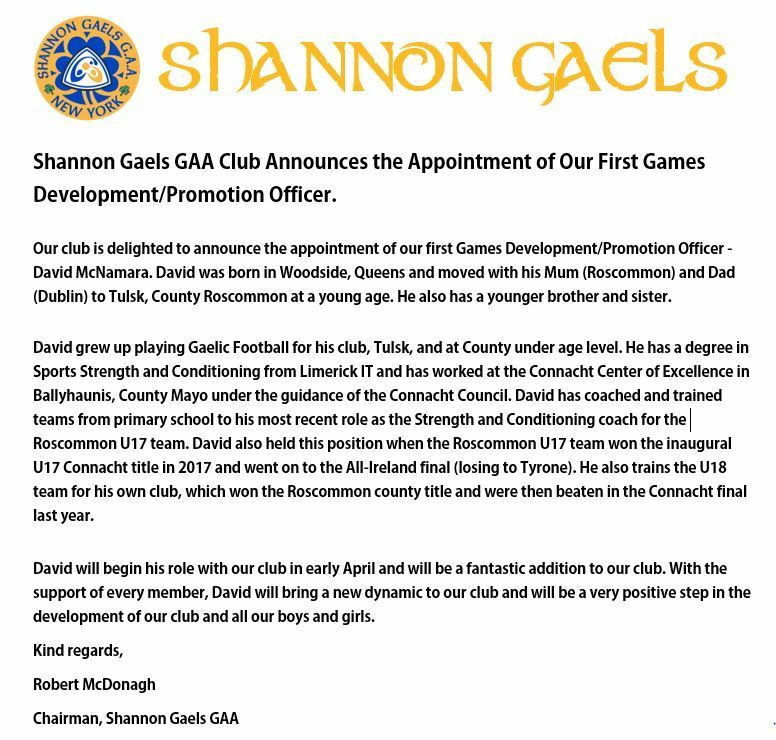 Welcome to Shannon Gaels Gaelic Athletic Association! Scroll down entire page for club calendar. 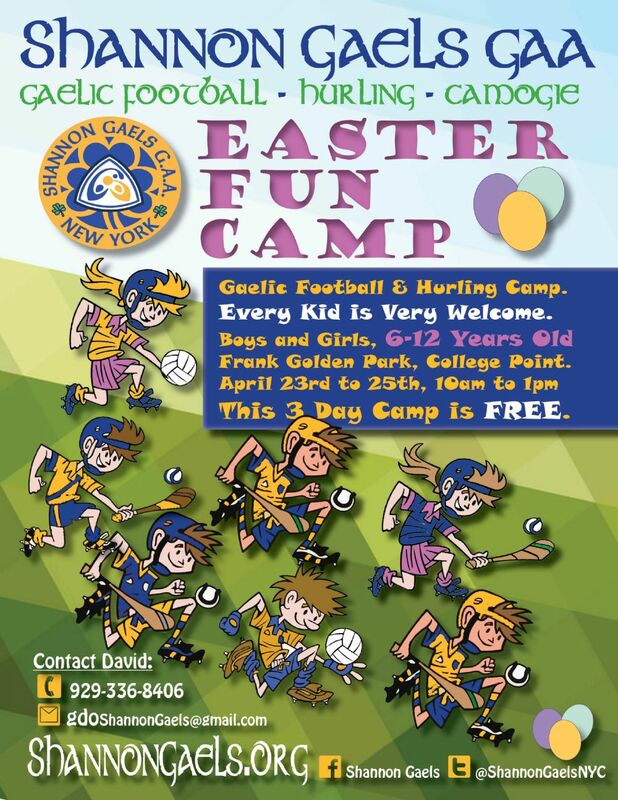 We field teams in Gaelic Football, Hurling & Camogie. Click HERE to join us on our Facebook page.